Disclosure: I received a finished copy of The Paris Wedding from Pansing Books, a regional distributor, in exchange for an honest review. This does not affect my opinion of the book or the content of my review. Ten years ago, Rachael West chose not to move to Sydney with high-school sweetheart Matthew. Instead she stayed on the family wheat farm, caring for her seriously ill mother and letting go of her dreams. Now, Matthew is marrying someone else. And Rachael is invited to the wedding, a lavish affair in Paris, courtesy of the flamboyant family of Matthew’s fiancée – a once-in-a-lifetime celebration at someone else’s expense in Europe’s most romantic city. She is utterly unprepared for what the week brings. Friendships will be upended, secrets will be revealed – and on the eve of the wedding, Rachael is faced with an impossible dilemma: should she give up on the promise of love, or destroy another woman’s life for a chance at happiness? A lot of the time, single people in their late twenties are portrayed as sad, lonely or desperate in the media. I’m glad The Paris Wedding doesn’t go down that road, even if the main character is pining after “the one who got away”. In fact, she’s invited to his destination wedding in Paris, which gives rise to a lot of awkward situations and some humorous ones. 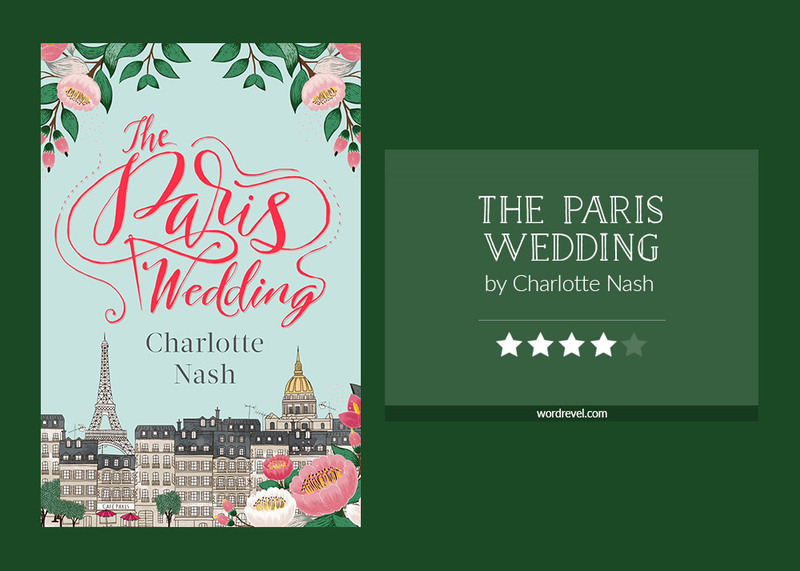 The Paris Wedding is a light-hearted but relatable book with a likeable cast. Even though some of them don’t get along, they each have their charm. I especially took to the grandmother of the bride — she iss eccentric and shrewd but has such a caring way with people as well. The Paris setting might be a cliché where romance is concerned but it still makes for a lovely read. The descriptions are vivid, which triggered recollections of landmarks that I got to visit several years ago as well. I much enjoyed Rachael’s journey of self-discovery on several fronts. She is such a delightful and down-to-earth character. After ten years of caring for her late mother, she’s trying to find herself and figure out what she wants out of her own life. At this age it’s so easy to compare yourself to others who’ve already achieved so much and feel like a failure for not having any direction in life and feeling stuck. Those feelings are all too familiar to me, which is why I especially liked reading this book. It’s encouraging to see how Rachael comes to seize new opportunities and learns to deal with her past. This book sounds fun and perfect for spring! I’m currently in the middle of planning my own wedding and am definitely finding myself gravitating toward books with a wedding setting right now, so I’ll have to check this one out!